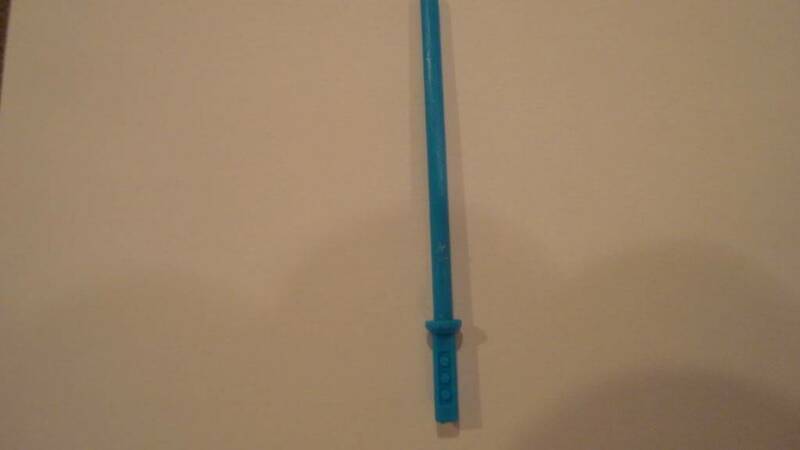 Craig: Jedi Luke Blue Saber - Legit? Craig - I know you asked me for some pics of the blue saber I posted recently in the Vintage Purchases thread. Here are some that I tried to get the best details of. It seems to check out with what the reference shows. It's cast and plastic and if scratched, only plastic comes off. the only thing that doesn't look right to me is the color. But you are the expert so have a look. The photos are great by the way... wish I could take close-ups like that. Looking at the clearer photos buddy I can the Sabre is 100% spot on. 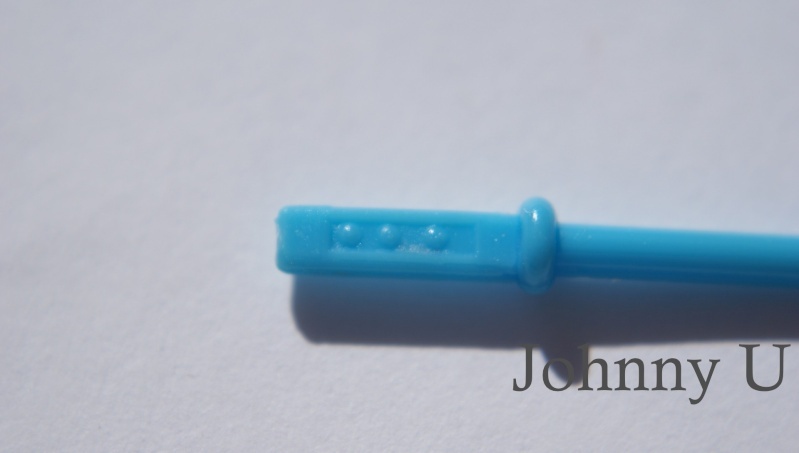 The mould is consistent with Luke Jedi sabres made the Hong Kong "HN" factory - This was the only factory (out of a possible 5) that made a Blue Sabre so no worries. 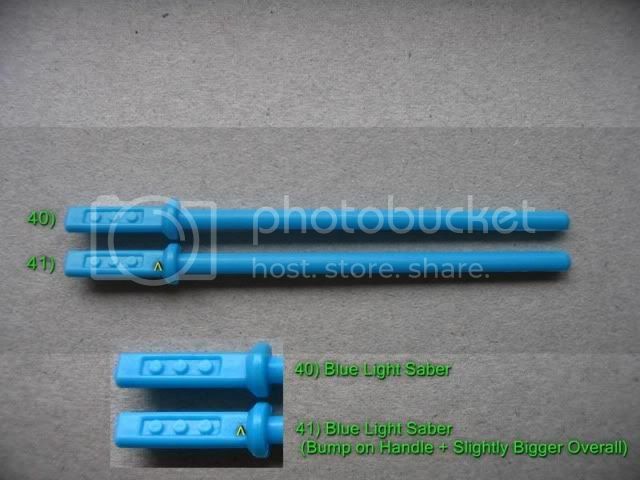 There is only the mass produced painted blue saber to worry about and its an easy spot below are some pics highlighting it. 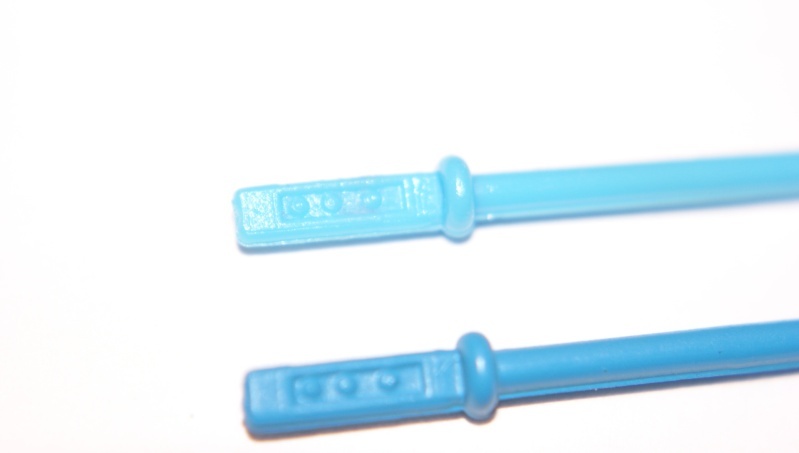 As Craig said the Blue Saber only has 1 mold due to its limited production before the change to green. I checked mine against those same pictures Jay. That is a great reference. It's not my photo abilities to take those close ups - I just finally got a camera with decent macros setting. I am trying to figure out if the lighter colored saber is original or not. The dark one is the painted over version, but the lighter one does not seem to be of the same mold as the bumps on the handle are more rounded on top, instead of the flat look of the original. Any thoughts? 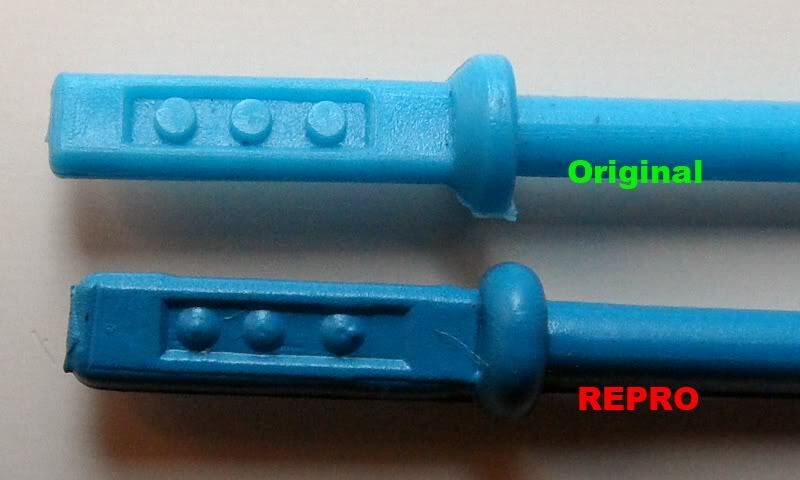 Sorry mate both sabres whether paint blue or moulded in blue are fake. 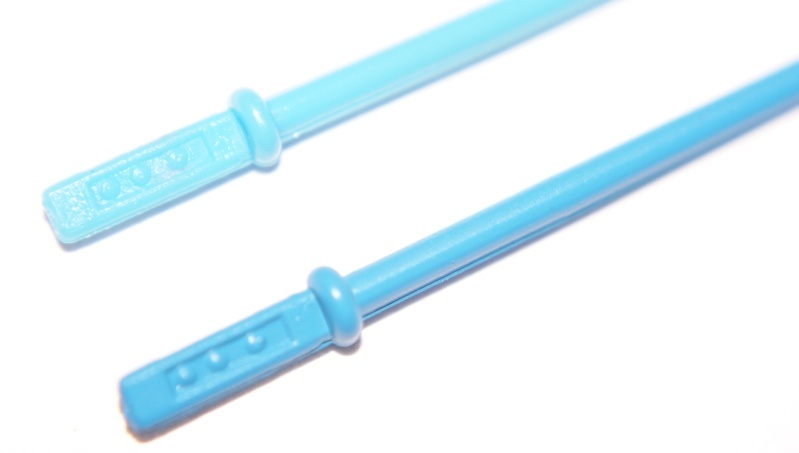 Only one factory produced the blue lightsabre and the mould that factory used is very much different to these sabres. Check out the weopons guide to see the original blue sabre... if you scroll up, you can see Jay has left some great comparision shots. Again, it the mould that important not the shade of blue. Thank you so much Craig I knew you would be the one that would know!! Now time to get my money back!! 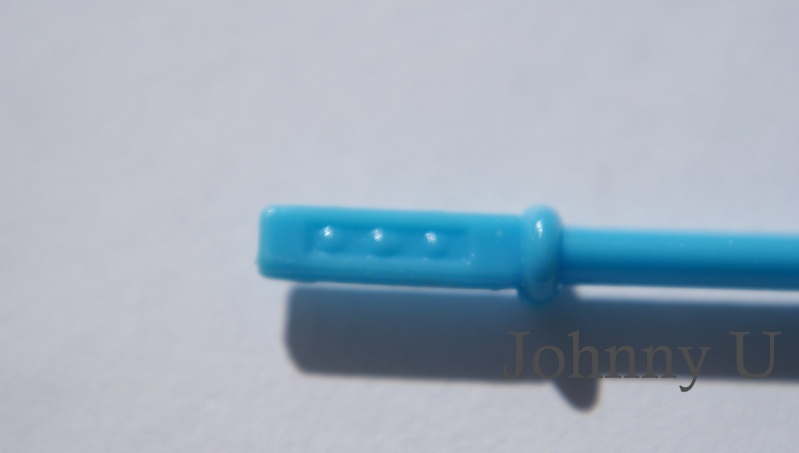 Hey Johnny is the REPRO Saber you pictured above cast in Blue Plastic (not painted)? If yes we need to get some detailed pictures for the guide can you help bro? 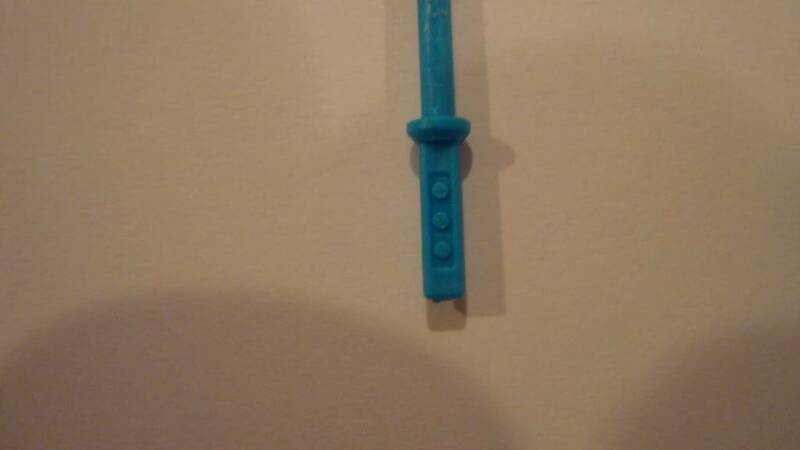 Yes Jay it is cast in blue plastic. Thats what kinda puzzled me Ive never seen it before. I would love to take better macro pics but I just need to know what kind of lighting to use because the flash alters the color of the plastic. So as soon as I get better pics I will send them to you Jay! Hey Jay, sorry I havent sent the pix in the sunlight. I will have them to you tomorrow after I get off of work!! Hello Jay, i'm Sarah (Johnny's wife) he went in for emergency gallbladder surgery, so he didn't get thos pics. But he wanted me to let you know he didn't forget. He had me write you in his anasthesia fog lol. He wantd to know if you wanted us to send you the saber itself to check out, because we could ship it to you, if you wouldn't mind sending it back after. 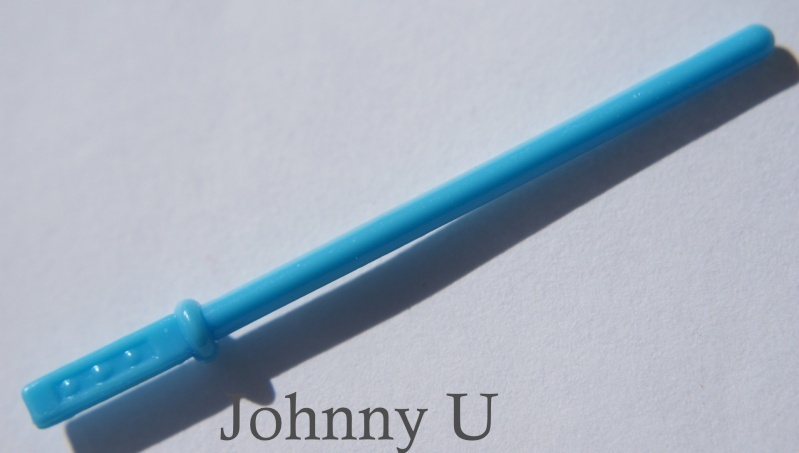 If you use the pics we sent, could you add his name (Johnny U) to them? That would be ace he said. Thanks bro. Hey Sarah sorry to hear about Johnny let him know theres absolutely no rush we just try and do a little a t time when we can. Hows is he is he doing? I can certainly add johnnys name to any pictures we use no problem. Im in the UK so its probably better to wait until johnnys good enough to take the pics himself (just because of post costs 2 ways) but the key thing is johnny takes he time to get better. If you can keep us informed as to how hes doing that would be great sarah tell him we all hope he makes a speedy recovery. 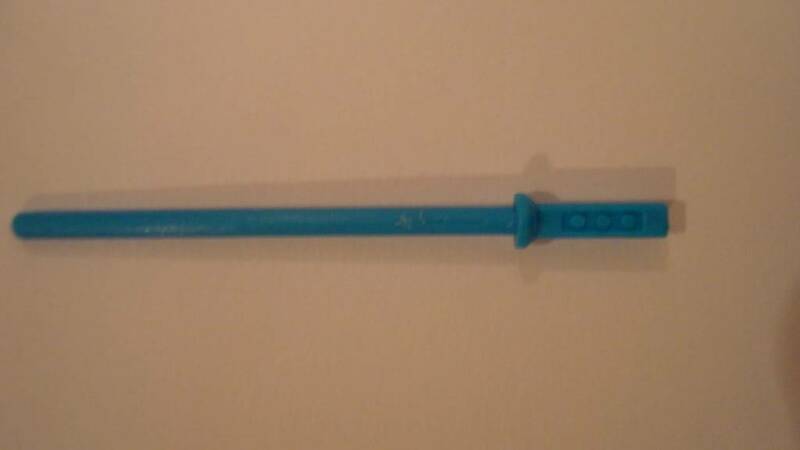 Found this seller selling the new fake sabre that Johnny found! Thanks for bringing this to our attenion Johnny! Hey guys!! Im doing so much better thank you!! I do have the pictures if you still need them. My wife gets out of work in 5 hours I will Post them then she has the real computer and Im just on the ipad right now!! 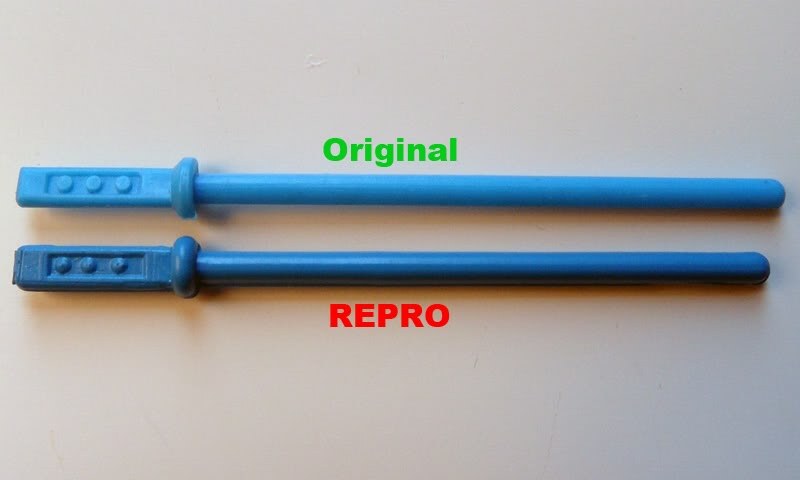 Also my wife said when she was taking the pics of the repro saber she noticed that the round bumps on the handle on one side are more circular and the other side the bumps were mre oval??? I think that may help also. Here are the pics n sunlight Craig. I hope they are good enough, it is the best we can do so far. I see you took my advice and finally made your way here! Welcome mate! Hey Wolff! I did take ur advice and boy is it paying off in a big way!! There are so many nice people and TONS of knowledge right there just a few clicks away! Once again I want to thank you for all ur help, u have so many things going on and u took the time to help a newbie out. I appreciate u more than u know!! Cheers homie!! but there are 2 versions ?? Yep mate only one factory made the blue sabre! 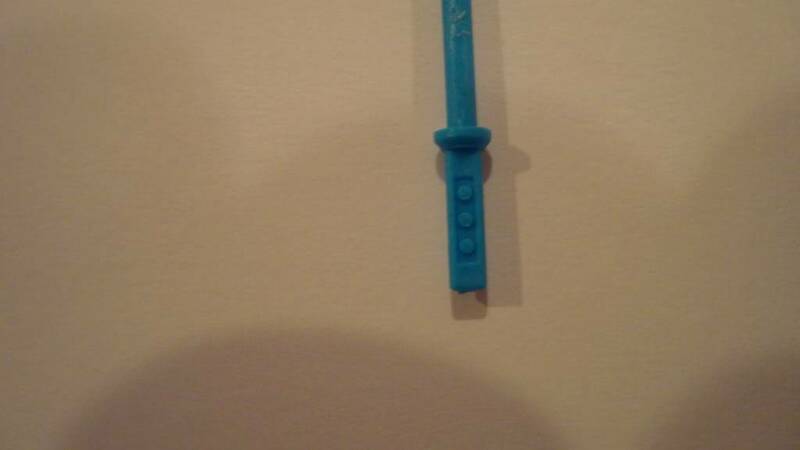 The evidence (so far) strongly points to only one factory producing the blue sabre. My findings are consistent with other Luke Jedi collections. - The ROTJ Card back will have "HN" next to the POP on carded specimens. - Bagged specimens include: Kenner & Palitoy Baggies with the correct "HN" Luke inside. The mould in general look very similar to me... but it is hard to tell what the bump looks like. Also I can’t see a significant increase in size; whereabouts should I be looking at? Tooling change at the HN factory with a slightly different mould, or the mould was compromised, or another mould was used in production at the same time – this would explain very slight differences in size. 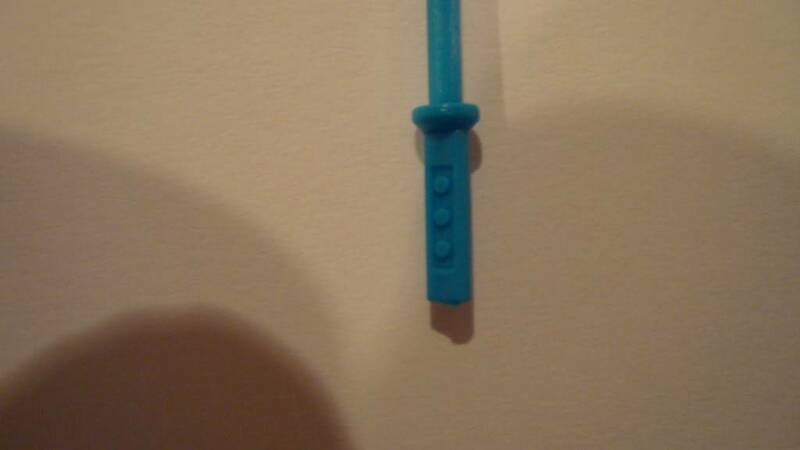 Subject: Re: Craig: Jedi Luke Blue Saber - Legit?